Location: North side of Station Road. When the station was open it was at the end of Station Road which opened onto a forecourt. Present state: Demolished, no evidence remains. The site is occupied by Gwyddelwern Sawmills Ltd.
Notes: Gwyddelwern station was situated on the Denbigh to Corwen railway which was opened in stages by the Denbigh, Ruthin and Corwen Railway (DRCR) between March 1862 and October 1864. Gwyddelwern station opened as a temporary terminus with the second section of the line to come into use, between Ruthin and Gwyddelwern, on the 1st March 1863. By October 1864 it had become a through station with the opening of the final section of the line to Corwen. Situated on the west side of Gwyddelwern village the station was provided with one low platform on the east side of the line on which stood a two storey building that contained a booking office and staff accommodation including a house for the station master. A goods siding was provided at the north end of the station with a loading dock and pens for ivestock with a second shorter siding at the south end of the station. There was a goods loop on the western side of the line. The station also generated income from the two quarries, which both had their own sidings; Deo Clwyd siding to the south of the station and Bryn Eglwys siding to the north. When the station first opened the DRCR ran its own train services but by 1866 the company was in financial difficulty and services were provided by the LNWR. The LNWR formerly absorbed the line into its ownership on the 1 July 1879. In 1875 Gwyddelwern Station was served by three trains in each direction on weekdays which ran between Corwen and Denbigh. By 1904 the station was served by five trains in each direction running between Corwen and Denbigh. In 1948 the Denbigh to Corwen line became part of the British Railways (London Midland Region). 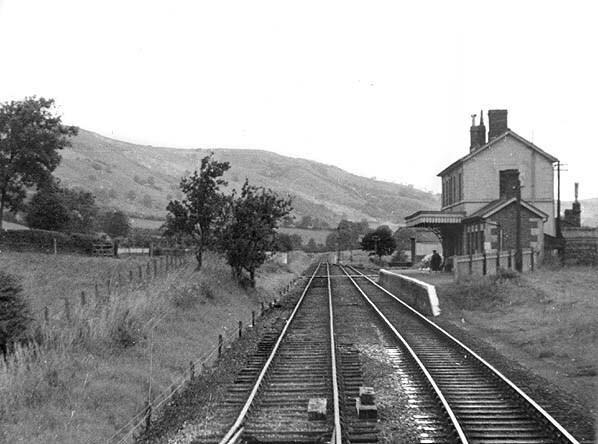 Road competition began to affect the line and by the early 1950s withdrawal of passenger trains on the section of line between Ruthin and Corwen was proposed. 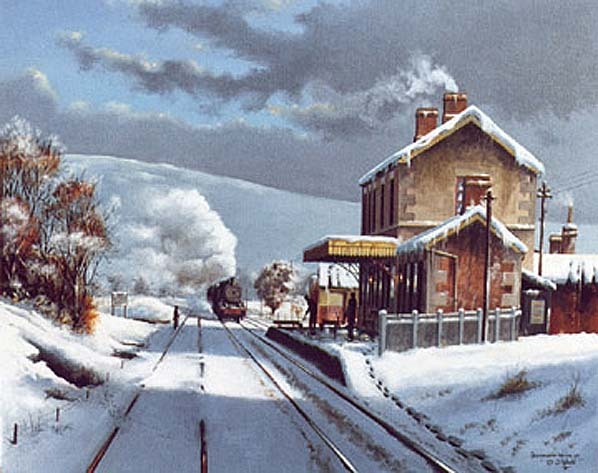 The last scheduled passenger services to run south of Ruthin ended on the 2nd February 1953. Gwyddelwern Station continued to be served by goods trains until the 2nd of December 1957 although a private siding remained open after that date. In last months of 1961 an SLS special ran over the line and made a photograph stop at Gwyddelwern. The train was a DMU which spent the day visiting many North Wales lines. 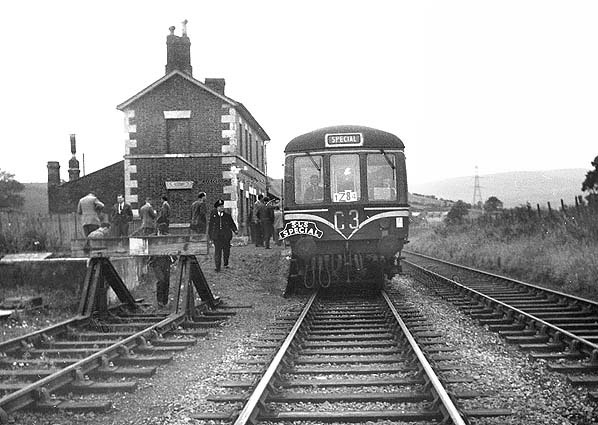 By 1962 the section of line between Gwyddelwern Station and Corwen was taken out of use and lifted shortly afterwards. Formal closure of the rest of line came on the 1st March 1965 after which the rest of the track was lifted. The station was demolished in the 1970s and today nothing survives. Tickets from Michael Stewart, Bradshaw from Nick Catford and Route Map by Alan Young. The SLS Farewell to Corwen line railtour waits at Gwyddelwern Station on 22nd October 1961. The train has stopped to allow enthusiasts to take photographs before proceeding towards Denbigh and was the last passenger train to call at Gwyddelwern. Looking north from the site of Gwyddelwern Station in September 2009. 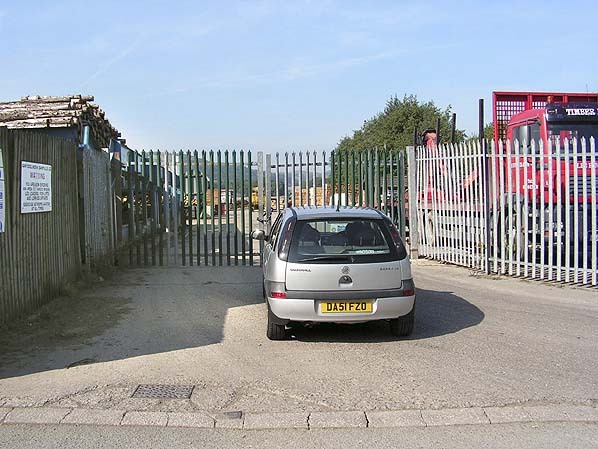 The site is now occupied by Gwyddelwern Sawmills Ltd.